You can’t control the wind but you can control the sails. Buy your new phone number and forward incoming calls to an auto attendant menu. From pricing to time frame, here’s everything you need to know to make this happen. How do I purchase a new number? To begin, hop over to our website to search for your new number. Use our search system to the fullest potential and find exactly the right number you are in search of. Important: make note of the activation time frame. This is the time frame of which your new number will be activated. If you’re uncertain about how to find the activation time frame, check out our guide here. 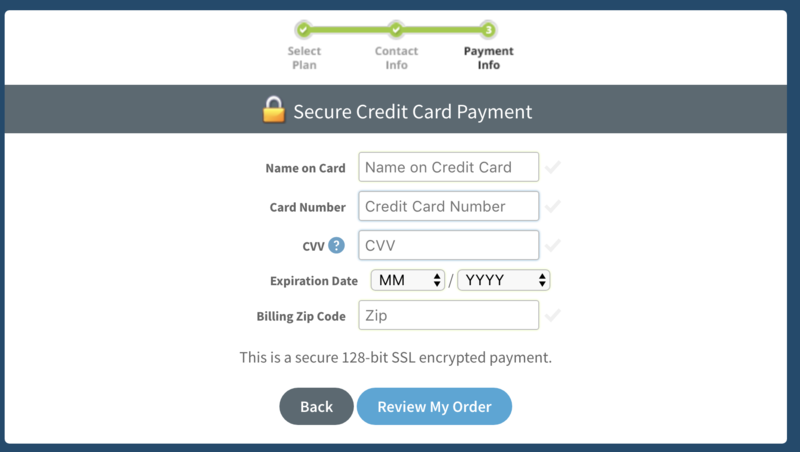 The purchase price with NumberBarn is a one time fee. The purchase price will be listed to the right of the phone number in the search results. Make sure to review our refund policy! The Call Forwarding plan comes with the auto-attendant menu included. To begin, search for your number, paying attention to the price and the activation time frame. Add the number to your cart by selecting Check Out to continue. 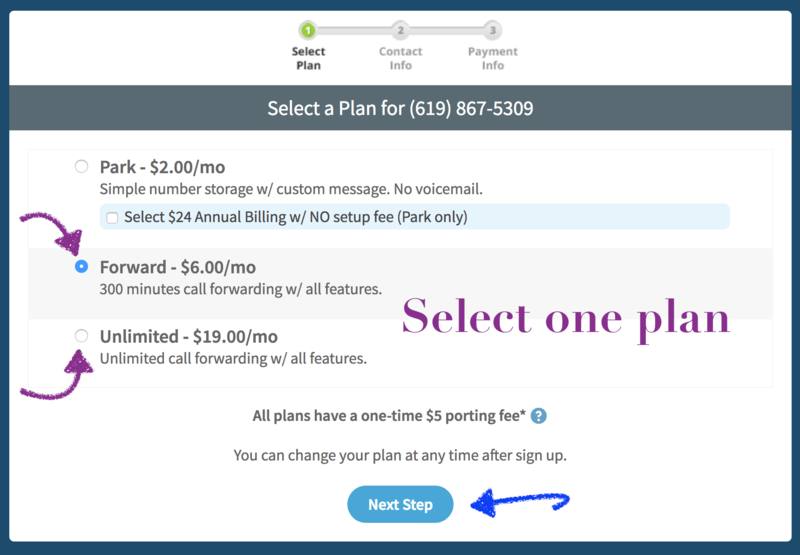 Select a Call Forwarding plan. 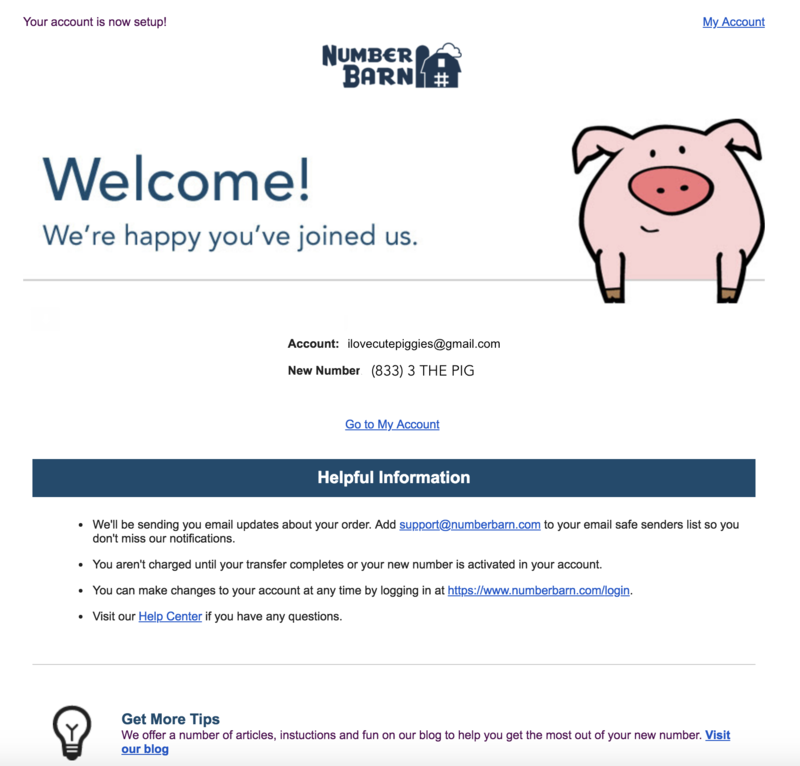 Enter the contact information to include on file in your NumberBarn account. We will bill you when your new number activation completes to your account and then on a monthly basis around that same date every month. If you have selected the annual park plan, you will be billed every year around that same date. After you confirm your order, you’ll receive a Welcome Email like the one below confirming your order. The time frame for activation will display below your number. 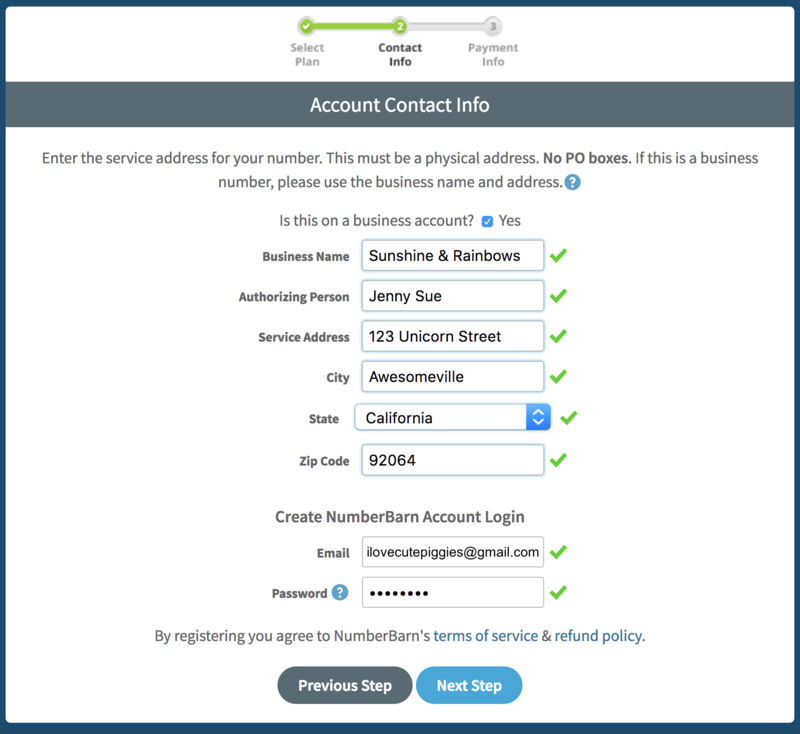 As soon as your number completes, we’ll send you an email with next steps on how to activate. Your number will not work until it has been activated.